Top Shelf® Compost is proud to be an OMRI® listed organic product. Top Shelf® Compost is transformed through blending nitrogen and carbon material at a sustained high temperature with the right amount of oxygen and moisture. Millions of microbes then go to work breaking down the organic matter into humus-rich food for your plants. This bag contains Medina® Growing Green Fertilizer and should be generously applied to your garden or flower beds before planting for maximum benefit. 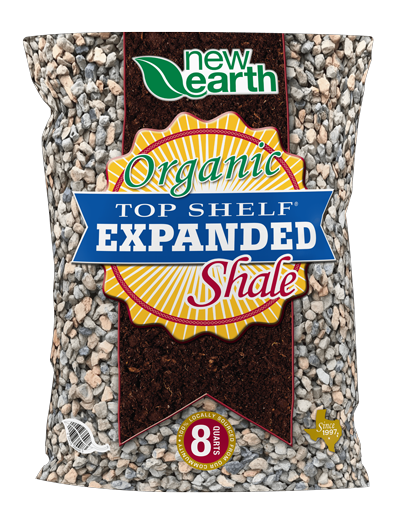 The Top Shelf® Compost in this bag meets the STA requirements set forth by the US Composting Council®. 1 24 sq. ft. 6 sq. ft. 3 sq. ft.
2 48 sq. ft. 12 sq. ft. 6 sq. ft.
3 72 sq. ft. 18 sq. ft. 9 sq. ft.
4 96 sq. ft. 24 sq. ft. 12 sq. ft.
5 120 sq. ft. 30 sq. ft. 15 sq. ft.
6 144 sq. ft. 36 sq. ft. 18 sq. ft.
Organic Materials Review Institute (OMRI) is a nonprofit organization that provides an independent review of the ingredients in products such as soils, fertilizers, soil amendments, and thousands of other products. OMRI focuses purely on what goes into making these products to certify all the inputs are organic. The OMRI seal ensures everything in the Top Shelf bags are produced 100% organically.